The Right Way for the Right Price. 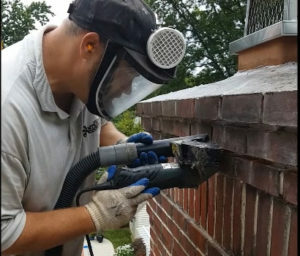 For Historic homeowners in and around Chester County and the beautiful and historic town of Phoenixville, Antrim’s, A Good Sweep Chimney and Masonry specializes in historic chimney repair. We also offer Historic masonry repair and mortar matching. All of our work is guaranteed to be performed utilizing the most appropriate products and methods in accordance with the task. Simply put, If it has anything to do with a chimney or hearth appliances, we have the credentials to build it, install it, and/or repair it “the right way at a fair price”. If you are interested in making your home heating system more efficient by purchasing “solid fuel” wood, wood pellets, or a corn burning appliance, or if you prefer the convenient ambiance of a gas appliance or log set in a fireplace… We can help! We offer a wide selection of stoves, log sets and appliances. We can also install and service your home’s appliance. Please know that while these services may be “add-on services” and we do not take these tasks lightly. 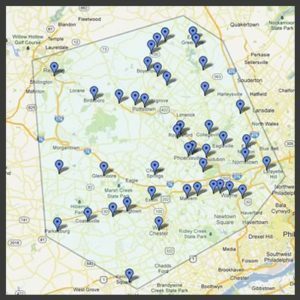 If you are looking for a service contractor that cares about its customers and has the references to back it up, Antrim’s might be the one for you. *As you take this time to learn about us please know that it is our aim to provide our customers with easy access to information about all of our services. All of the job site photos that we use on our website are our own and are not from an image provider. When you are viewing them you are seeing the quality that you will receive as our valued customer. Residential Policy Statement: It has been said that “a man’s home is his castle”, and in light of this agreeable statement we consider it an honor to be entrusted with the care of such a prized possession; that is why we take every precaution to ensure a positive experience for our customers. Commercial Policy Statement: In today’s “fast-paced” world of business where time is equated with money, and, ” Image Is Everything ” we understand and embrace the importance of professionalism as well as the timely execution of contracted work. 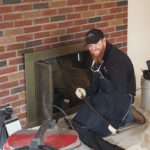 If you would like your chimney either swept or inspected, call us today! 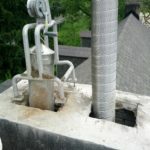 Are you looking for chimney inspection. Antrim’s can help! 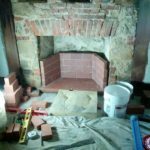 Antrim’s, A Good Sweep Chimney and Masonry are experts in chimney relining techniques! We perform historic renovation and preservation services also!